If you don’t have a license issued by the French Athletics Federation, to register to a running competition in France, it is absolutely mandatory to provide a medical certificate proving that you are able to run in a running competition and have no contra-indication to do so. This certificate have to be done less than 12 month prior to the date of the race. It is mandatory for all the races you will do in France, no exceptions. I have seen people who couldn’t get their bib because they were not able to provide the medical certificate even though they had begged for that showing races diplomas or other kinds of proof, explaining that they were healthy, experimented and regular runners or even well-known runners. It is very hard when you trained for weeks to see you can’t do the race because of that. 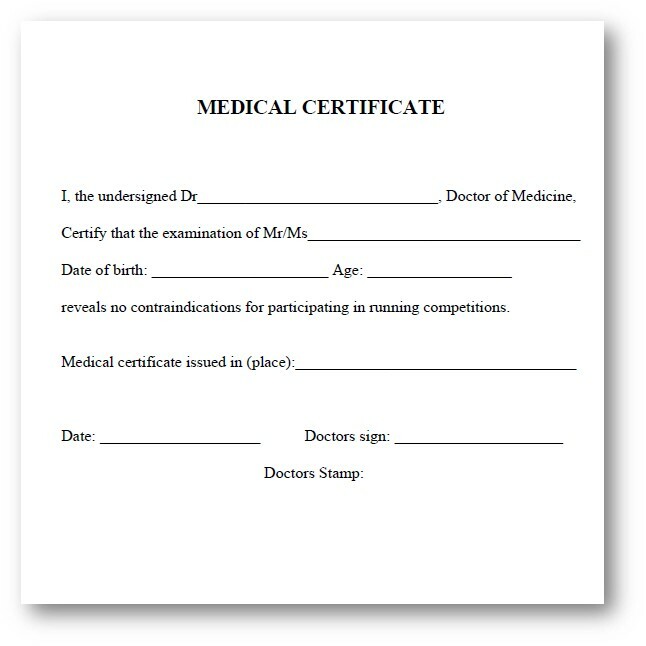 Depending on the race, you can send the medical certificate to the organization electronically or you can give a copy when you come to fetch your bib. You may be asked also for a proof of your identity (passport, id card) and/or a paper proving your registration. See for example here the corresponding topic for the Paris marathon (it is only a sample).